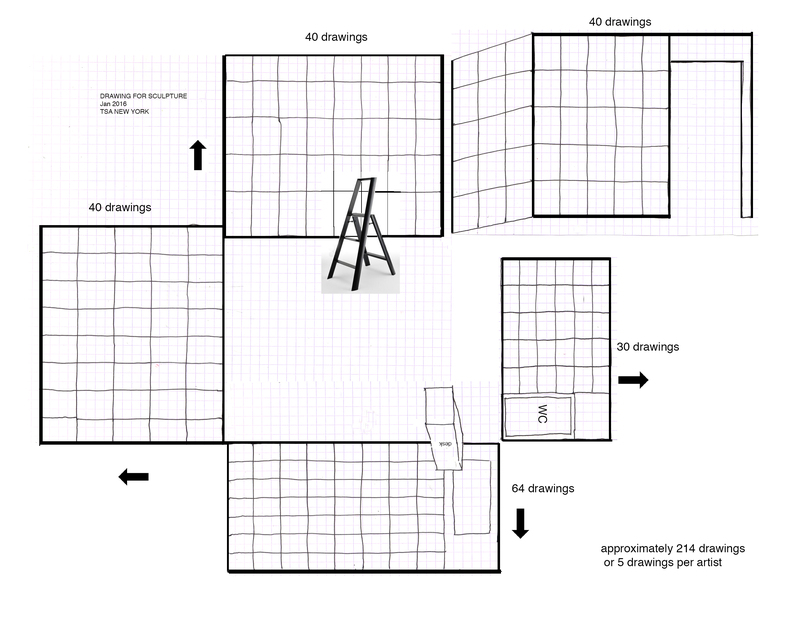 Drawing for Sculpture is an immersive environment; a library of plans, observations, thoughts, doodles, maps. I regard drawing expansively as two-dimensional conceptual support for three-dimensional form. My invitation to the artists assumes drawing plays a role whether major (works in and of themselves) or minor (doodles in sketchbook). These artists opened their studios to me and bravely shared the raw edges of their process, the vulnerability of their ideas, the ‘real’ work behind the work that get’s shown.